ACOs (Accountable Care Organizations) are the next big thing in the healthcare industry. They are gaining nationwide popularity majorly because of the Affordable Care Act whose main aim is to provide coordinated care in the healthcare industry. In a nutshell, ACOs main goals are to develop healthcare solutions that help improve care coordination between hospitals, primary care physicians, specialists, private and public health payers, and in turn improve the quality of care delivery as well as lower payer costs. It is expected that ACOs come up with ACO health solutions to help reach quality improvement goals as well as reduce the costs associated with medical services by putting more focus on population health management. The fee-for-quality or fee-for-value practice by ACOs is one example of a solution to solve the disparities in the healthcare industry. The traditional fee-for-service reimbursement model has over the years been flawed by inefficiencies. The model only rewards quantity and overlooks quality. It allows medical practitioners and healthcare organizations to increase the volume of their services (such as by ordering more unnecessary laboratory tests and diagnostic procedures) for higher reimbursements. But with the fee-for-value solution, quality care delivery can now always come fast. Local hospitals and healthcare providers come together and volunteer to offer patients better and much more coordinated care. The healthcare providers and doctors treating or taking care of you communicate with each other and consult you when making most healthcare decisions. 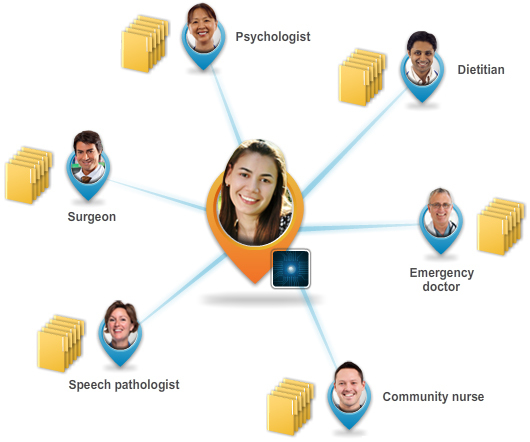 The providers use an already existing and shared electronic health record to access your medical history. The record can provide them with your medical conditions, prescriptions, previous tests and diagnoses, visits to the doctor, and more. This way, you will not need to spend much time filling another medical history paper if you had done it before. Also because your medical history is shared among the healthcare providers, you will need fewer or no medical tests at all because the doctors have the information already. Plus, with your medical history always available through this coordination of care, you can easily be treated even when you have passed out. You become the center of care. Your doctors keep you informed about everything, they listen to your input and even consult with you when making important healthcare decisions. ACOs always focus on improving the quality of care delivery while simultaneously lowering care costs and improving population health management. For example, one of the great ACO health solutions for population management is putting the focus on the prevention of diseases and promotion of wellness, which results in stronger population health. This, in turn, reduces the likelihood of a major disease spread that would result in many costly hospital stays. ACOs are focused on increasing the accessibility of medical care to patients throughout the day and week. And with medical records easily accessible by providers, population management through better diagnosis, treatment, and tracking of patients has been made possible. With communication lines open among care providers and patients, better coordination of care is ensured and the end result is improved patient care. This is arguably the greatest benefit to all patients across the board. ACOs aim to implement the fee-for-value model that reimburses quality of service rather than volume of service. ACOs can help determine what tests or services had been provided before and need not be repeated. This avoids duplication, saves time, and most importantly saves patient costs. With ACOs, there is a two-way line of communication between the healthcare provider and the patient. The provider no longer just determines the treatment without patient input. They engage you in making the decisions to determine the best course of your treatment. However, although ACO health solutions are mainly aimed at benefiting the patient, they have numerous benefits too to the healthcare providers; one of them being patient retention for providers that implement ACO health solutions such as the fee-for-quality reimbursement model.